Limburg. 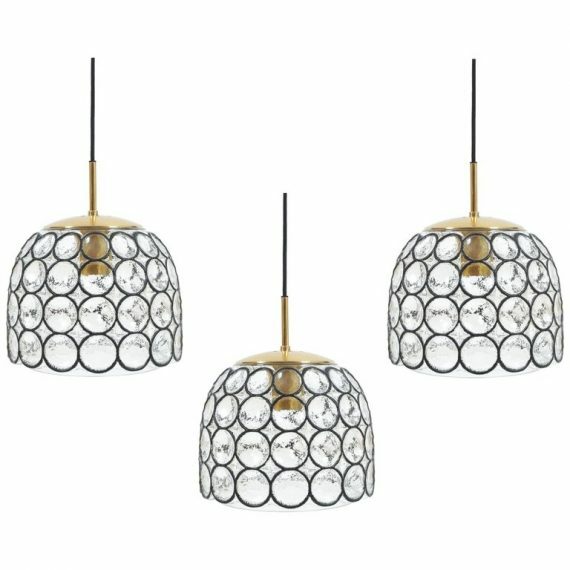 Glashütte Limburg set of three large midcentury iron and glass pendant lamps, Germany circa 1960-1970. 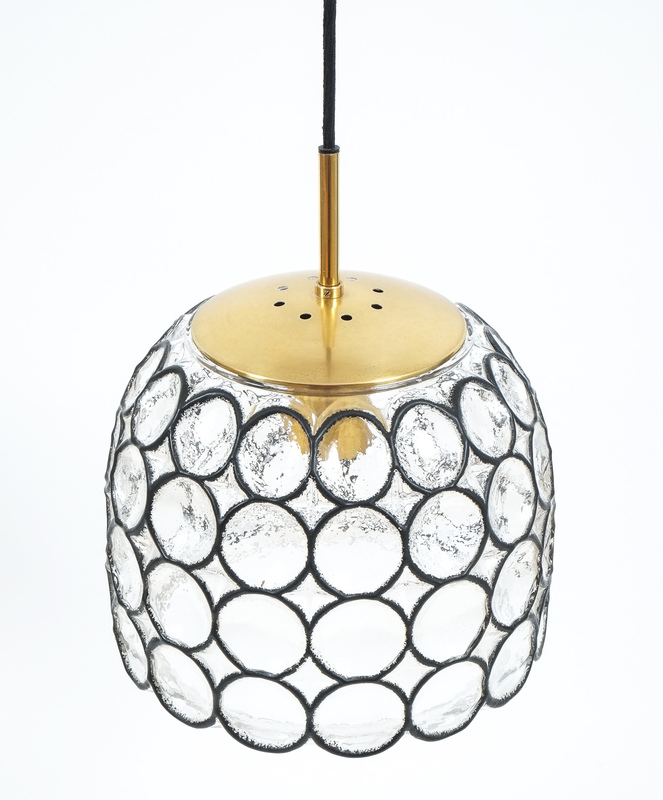 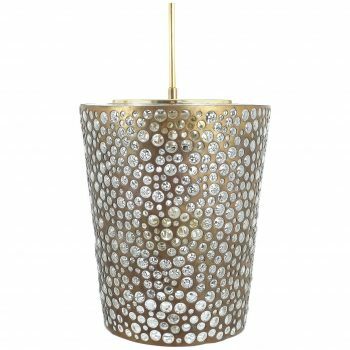 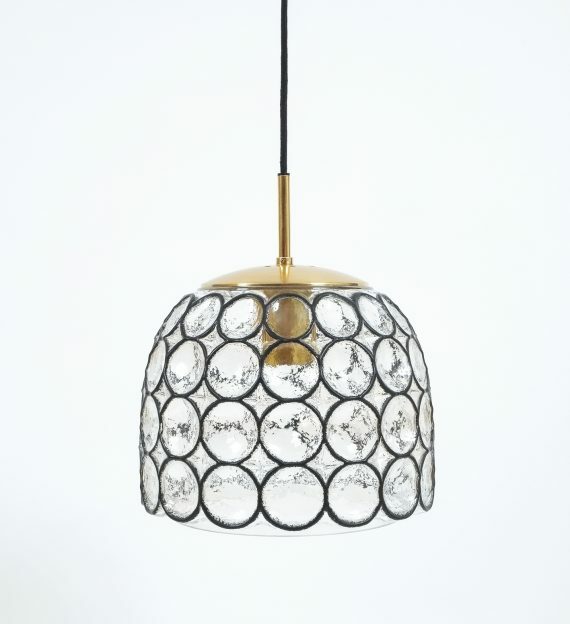 The fixtures feature a concave thick clear glass shade with circle ‘iron’ paint effect elements. 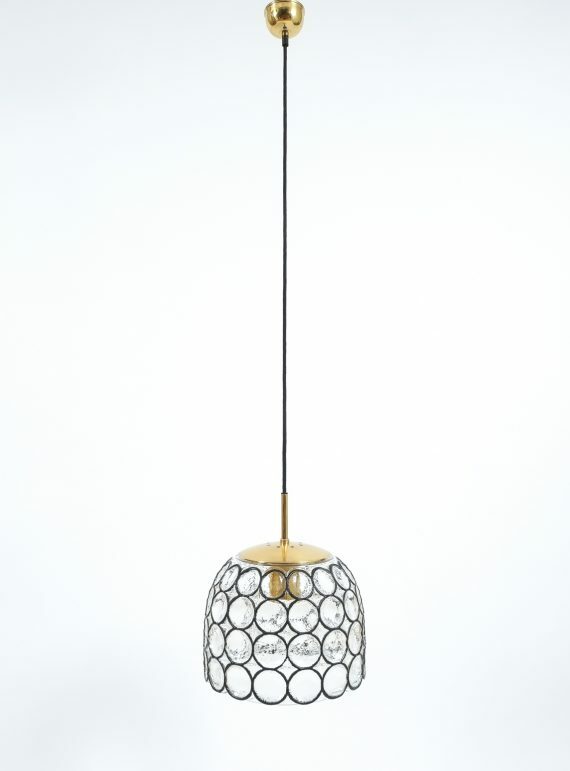 The hardware is made from brass, holding a single large bulb (100W max). 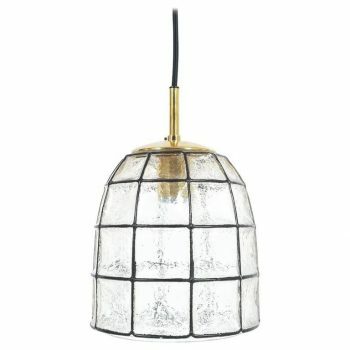 The condition is very good, refurbished and polished brass and newly rewired and a new modern canopy. 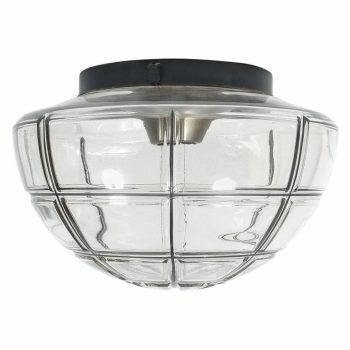 We can provide you with black robe cable in whatever length required. 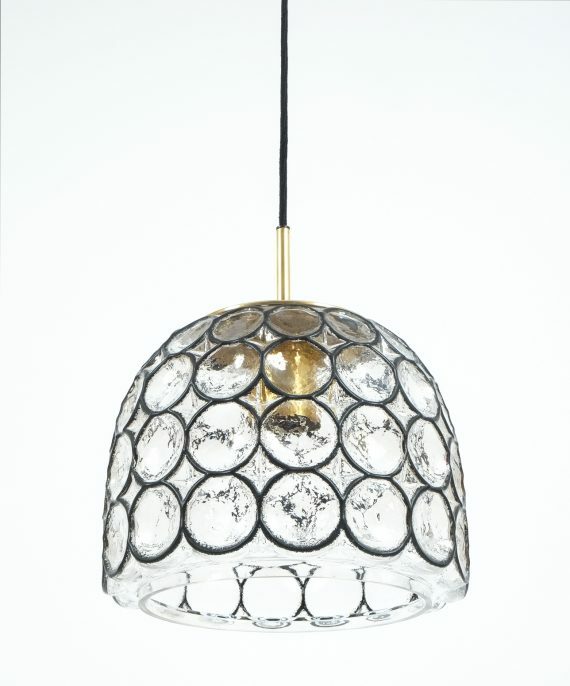 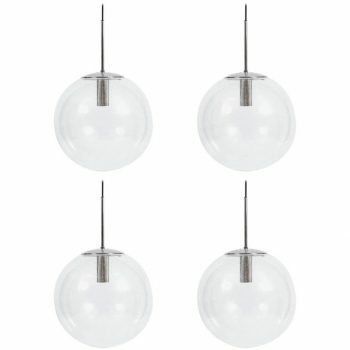 The fixture measures 13.77″ (height pendant only), diameter is 11.81″.